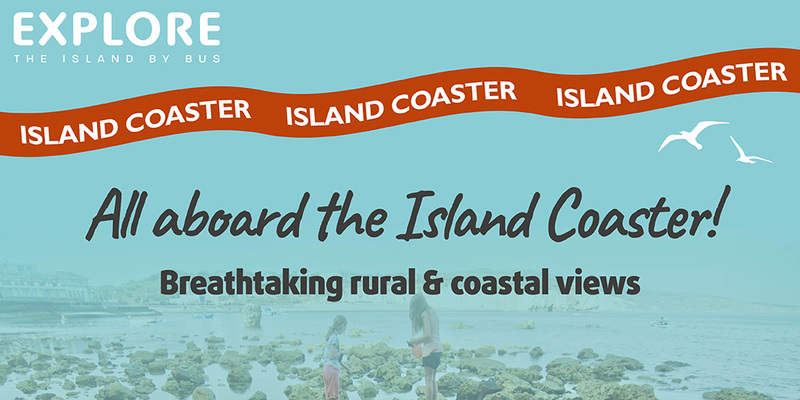 Whether you’re here on holiday or are lucky enough to live on the Island, we have some great routes taking you to areas across the Island that you’ll want to explore. There are four seasonal routes, two of which are open-top, so you can really catch the refreshing Island air as you Breeze around the Island! Don't forget: you can buy your tickets on our clickit2ride mobile app! Simply download, buy, scan and go. 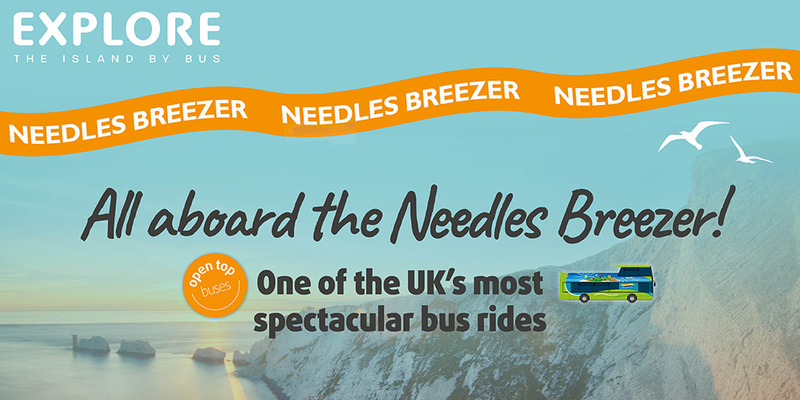 The Needles Breezer is one of the most spectacular bus rides in all of England, an open-top ride with views that will simply take your breath away, with buses running up to every 30 minutes. Enjoy a cliff-hugging, dizzy climb from Alum Bay right up to the Needles Battery, high up where the vistas out to sea are intoxicating. The route also links Yarmouth to Freshwater Bay, Dimbola Museum and Galleries, Farringford Estate, Fort Victoria Country Park, as well as historic places of interest and areas of outstanding beauty. The children will love the Needles Landmark Attraction at Alum Bay, with its fairground rides and chairlift down to the beach. 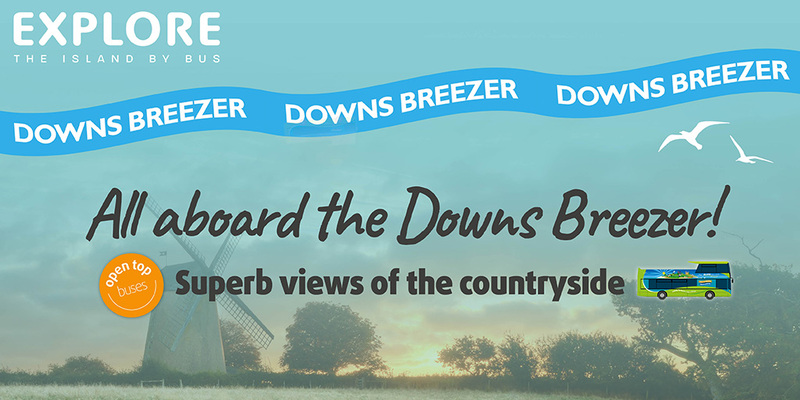 The Downs Breezer follows a circular route through pretty countryside, across the tops of the Downs with views out into the English Channel, across the Island and further on towards mainland England. The bus links the Esplanade with Ryde town, Wootton Station, Robin Hill Adventure Park, Sandown Seafront, Isle of Wight Zoo, Dinosaur Isle, Browns Golf Course and Bembridge. Our open-top double deck buses with friendly local drivers run every hour from Ryde. Hop on and off anywhere along the route using your 24-hour ticket which also gives you unlimited travel on all our buses across the Island. The Island Coaster – the ever-popular summer service linking Ryde, Sandown and Shanklin with the West Wight area via Ventnor, Blackgang and Alum Bay, is the longest bus route on the Island. Along the Military Road the journey gives panoramic views of the ‘Back of the Wight’ coastline between Blackgang and Freshwater Bay. The views of the coast from the upper deck are not to be missed – don’t forget your camera! 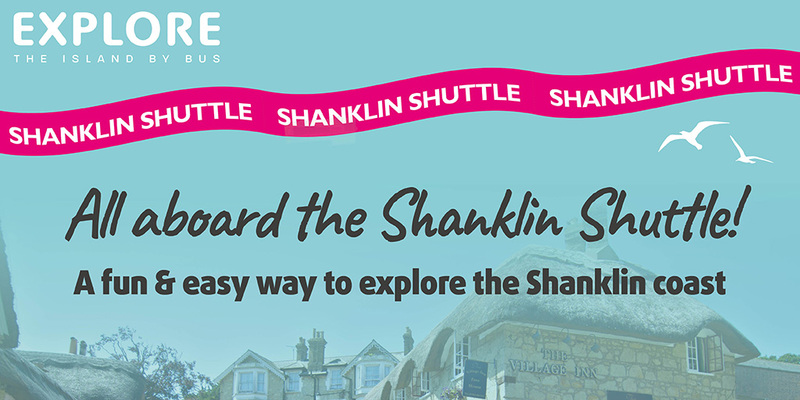 Take a ride around Shanklin town aboard our convenient shuttle bus. Visit the spectacular Shanklin Chine in the heart of the Old Village, stop off for a cream tea in the traditional tea rooms, sample some of the Island's best ales or head to the beach for sandcastles and ice cream. The Shanklin Shuttle connects the main town with the seafront.